London is a great first trip for families that want to explore Europe with Kids. On our first go-round in London, we packed in a great trip in a VERY limited amount of time. You can read all about it here in this 48 Hours in London with Kids feature. This time, once again we were a little crunched for time and we decided to focus on theater for kids in London. 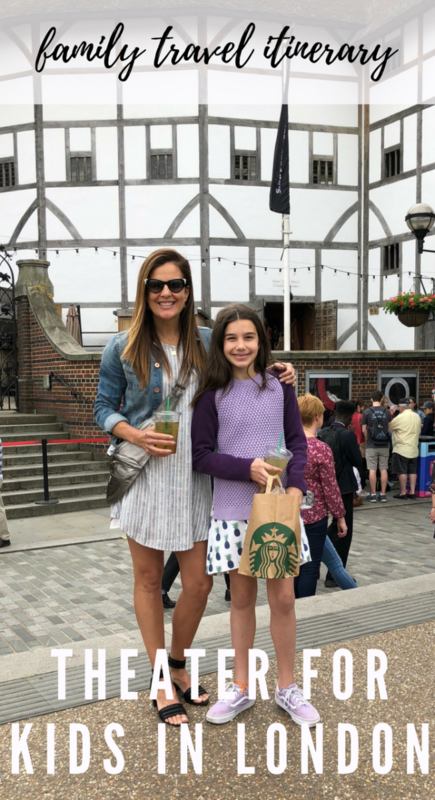 We took in a tour of Shakespeare&apos;s Globe AND we had tickets to one of the hottest musicals for kids in London, Andrew Lloyd Webber&apos;s School of Rock. Since I knew the trendy musical wasn&apos;t going to be a hard sell, that went at the end of the trip. We started with Shakespeare, because I was and English Literature major at Vanderbilt and I thought the girls should learn more about him. I always try to balance our trips to Europe with culture and kid stuff. Since the girls are now studying Shakespeare, I think this was the perfect time to did into the 16th century. 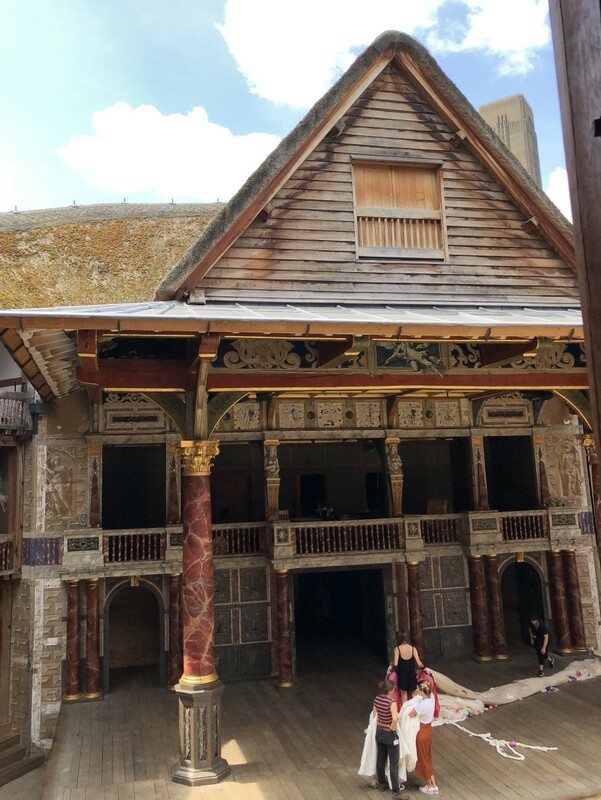 The Globe Theatre Tour & Exhibition in London helps bring history alive. The Globe is part working theater and part museum. While I would LOVE to say we saw a Shakespeare play AND did the tour, we did not. We started small. THIS globe came to life in the 1990s thanks the Shakespeare&apos;s Globe Trust led by the actor and director Sam Wanamaker. The current building is based on the 1599 Globe. It&apos;s constructed of wood and is a real working theater. On our tour, we saw the crew prepping the sets for As You Like It. The Globe stands a few hundred yards from its original site. Of course there are Shakespeare plays put on, but The Globe also makes space for modern productions and experiments. Our guide painted a vidid picture of what it was like to see a show in the 1500s. It was smelly, bawdy and raucous. My girls loved the story-telling of Natalia out guide (she is an actress and put a lot of effort into guiding the tour). We learned about the cheap seats - the orchestra and that the pricey seats were off to the side and up off the ground. We learned about the costumes, scripts, set design and special effects. It is an excellent tour for anyone who loves theater. We took the tube to Blackfriars and walked over the Thames on the London Millennium Footbridge. From there, we gathered in the lobby for our tour. You can&apos;t miss The Globe, it&apos;s right along the water. The Globe has an excellent museum devoted to London in the early 1600s. It talks about the politics, customs and people of Shakespeare&apos;s time. Before or after your tour starts, enjoy the exhibit at your leisure with your audioguide. There&apos;s a lot to learn and seeing the exhibit BEFORE the live tour helped "set the stage" if you will. Shakespeare was born in 1564 - that&apos;s a long time ago. The girls had the chance to go back in time before we were launched into the future and the why and how of the reconstruction. Get your tickets in advance, they DO sell out. And the tours won&apos;t happen if there is a show on or about to go on. I will 100% be back to see a performance here. It&apos;s first and foremost a working theater. All that culture can make you parched and in need of sustenance. Well, fortunately, kids love tea time in London. 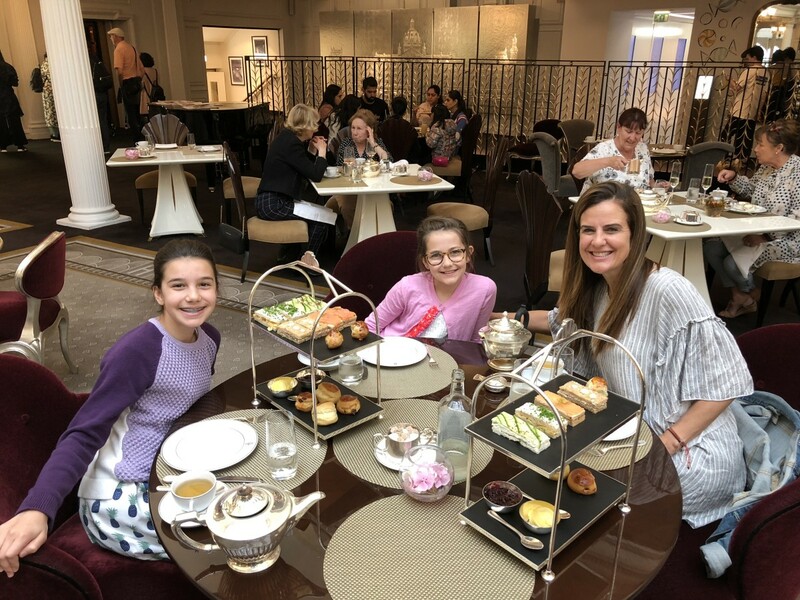 On our last trip we paid a visit to the Charlie and the Chocolate Factory Tea at One Aldwych (click to find out more). This trip we made a visit to Harrod&apos;s the iconic British department store. Fun Fact: Harrods has 90,000 square meters of sales space, being the largest store in the English capital. It&apos;s also the largest store in London and home to a very fancy tea. It was the perfect spot to take the edge off of our appetites before heading to a show. I like a late afternoon tea. Since when we get to London we are jet-lagged we have a late breakfast, skip lunch and then have tea. This setting is particularly grand thanks to the posh decor and the delicious traditional treats. Harrod&apos;s is also a tremendous place to shop for children&apos;s clothing. In my opinion, it has the best selection in all of London. 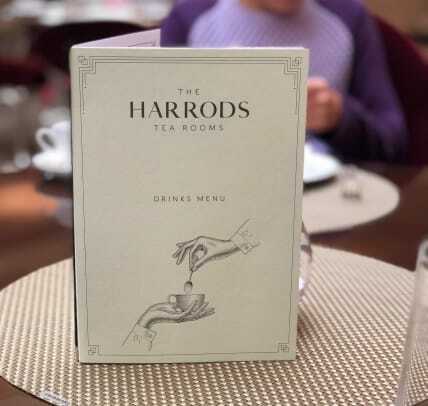 Tea service at Harrod&apos;s runs Monday to Saturday: 10am - 9pm and Sunday 12pm - 6pm. Find the Tea Room on the 4th floor near the enormous children&apos;s department. After tea, it was time to head home to change and get ready for our 7:30 show. Originally, I wanted to take the girls to see the Harry Potter and the Cursed Child in London, but it was sold out (we saw it in NYC and it&apos;s awesome, read our Harry Potter and the Cursed Child review here). 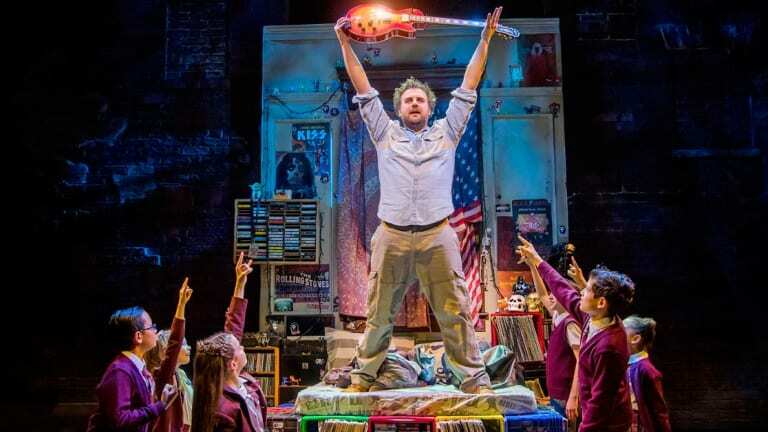 A friend recommended School of Rock as the perfect show for the girls (ages 10 & 12) and I booked those tickets months ago. Momtrends tip: Go online and book as much as your trip as possible to avoid disappointment. The show tells the story of a hapless rock musician who weasels his way into becomes a substitute teacher at a fancy prep school. He tosses the regular curriculum out the window and turns his class into a rock band. The theater had tons of teens there (the suggested age is 8+ due to some curse words). My girls loved the energy of the show. It was like a rock concert in a dressier setting. I&apos;ve seen the Jack Black movie, and I love the infectious energy and creative spirit. The lead actor gives Jack Black a run for his money. This tubby narcissist was awesome. He bumbled and sweated all over the stage. But the real talent was the cast of kids. The band kids REALLY PLAY THE INSTRUMENTS. There are three children’s bands who rotate at the performances, and yes, they really rock out every night playing live instruments. Andrew Lloyd Webber took the movie and turned it into an Olivier Award-winning show. It opened in London in 2016 and is still going strong. It was sold out on our visit (buy your tickets early) and will run through January of 2019 and might go longer. Your kids might just take those piano lessons more seriously after this. Show facts: The run time is 2 hours 30 minutes. New London Theatre Drury Ln, London WC2B 5PG. Are you ready to head to the theater in London? Pin this post to your pinterest travel page for inspiration. This Theater for Kids in London feature is not sponsored.